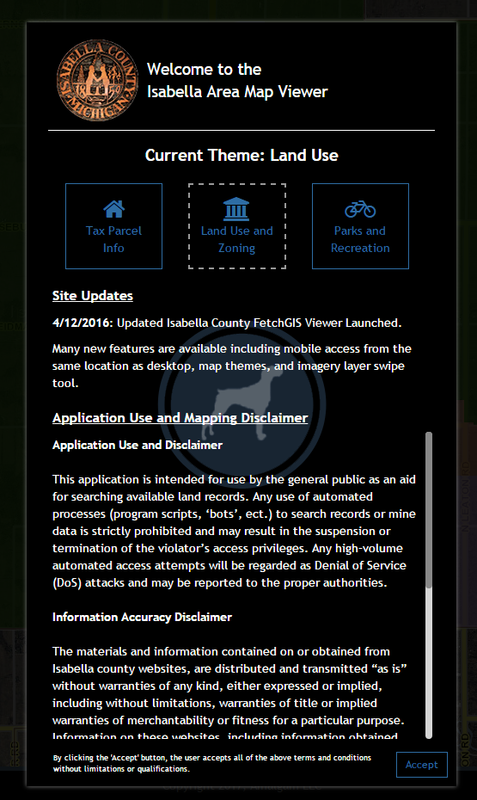 In 2007, the Isabella County Community Development Department released its “pilot” Map Viewer and Parcel Information Search tools to the public. The tools allowed users to access and view information throughout the County. With nearly 150,000 page hits and an overwhelming positive reception by users, the Community Development Department is now releasing an updated version of both the Map Viewer and Parcel Information Search.